GujaratiBooks.com has been launched in 1999 as an online Gujarati books store. The main aim behind GujaratiBooks.com is to make available all kind of Gujarati books & literature under one roof. GujaratiBooks.com is one of the early sites who adopt the concept of e-commerce for payment processing. Since 1999 GujaratiBooks.com has successfully processed more than 25000 orders from world wide. Gujaratibooks.com is the only site on the internet which has the collection of more than 20,000 Gujarati books titles of all major Gujarati language books publishers. In 2003 we have added Gujarati movies, Gujarati drama, Gujarati jokes, & Gujarati bhajan's best seller CD/DVD collection on our store. Apart from this all Indian language magazines are also available for subscription. For GujaratiBooks.com, every customer, entering the online store to browse through there vast stocks of books is important, whether he is an overseas buyer buying books worth few hundred rupees. Many institutions, libraries, schools, colleges, universities, literary institutions, both in the country and abroad , are regular customers of GujaratiBooks.com . Over the years , GujaratiBooks.com has blossomed into a large but well organized enterprises. 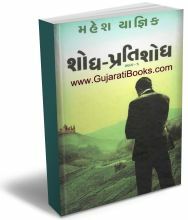 GujaratiBooks.com has a galaxy of more than 3500 Gujarati Writers -- some of the most out standing and brilliant of them. To mention only a few leading names : Chandrakant Bakshi, Zaverchand Maghani, Chunilal Madia, Kundanika Kapadia, Suresh Dalal, Jivaram Joshi, Yashavant Mehta, Dinkar Joshi, Priyakant Parikh, Makrant Dave, Bhupat Vadodaria, Kanti Bhatt, Girish Ganatra and others.